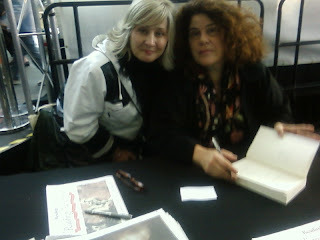 On the opening day of the Melbourne Writers Festival I had the incredible pleasure of meeting my favourite author; the beautiful Anne Michaels. 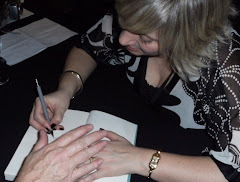 She was as gracious and generous in person as she is on the page, a rare rare unforgettable treat. I burst into tears when she asked me to sign my book for her, which I did, sort of (the lovely Readings bookshop girls providing pens and tissues) shaking, mispelling everything, oh dear ...it really was a dream come true. Labels: A dream come true.